kuznianaklejek.pl > Fototapety>Przeznaczenie>DO ŁAZIENKI>Aromatherapy, spa, beauty background with roses flowers, cosmetics and candles on blue table. Flat lay style. 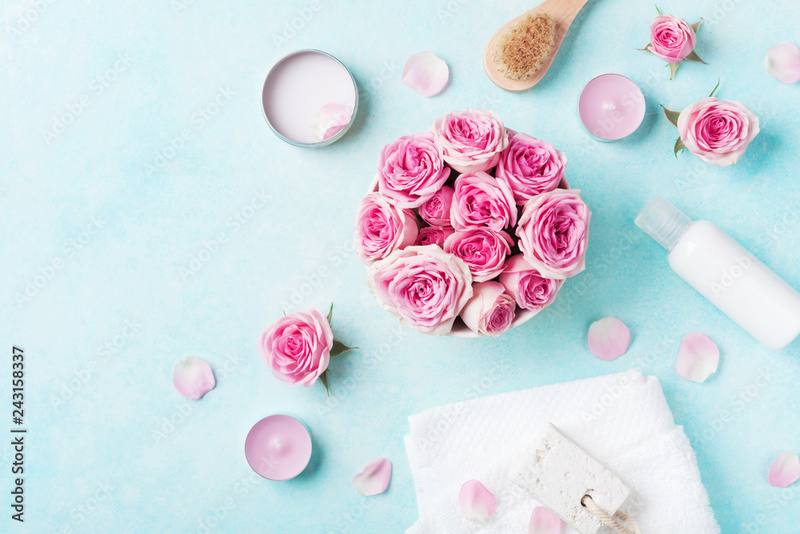 Aromatherapy, spa, beauty background with roses flowers, cosmetics and candles on blue table. Flat lay style.